If you want the occasional house cleaning, a deep-spring cleaning, moving day cleaning, or special occasion clean-up services, then we have what you need! We are big enough to provide the VERY BEST house cleaning service in Casper, yet small enough to get to know you and your needs personally! Clean Solution’s professional housekeeping services in Casper, Wyoming can provide you with a thorough residential house cleaning service that is customized to meet your specific home cleaning needs. We pay attention to the details, cleaning your home the way you would, if you had the time. When you hire Clean Solutions, you get a perfectly clean home with little or no effort on your part. No one likes to come home to a dirty house, and you certainly don’t want to have to clean it after a long day at work. There are usually far more important things that you can be doing instead of cleaning your home. Hiring Clean Solutions allows you to focus on the more important things in life. We offer a wide range of residential house cleaning services in Casper. Dust picture frames, knickknacks, ceiling fans, lamps, furniture, woodwork, window sills, blinds, shutters, shelves and baseboards. Remove cobwebs. Vacuum carpets. Clean all flooring from hardwood to ceramic tile. Empty wastebaskets and replace with liners. Clean, scrub and sanitize showers, bathtubs and sinks. Clean and sanitize vanities, backsplashes and toilets. Clean mirrors. Polish faucets. Wash floors and tile walls. Deodorize. We offer a 100% satisfaction guarantee. If anything was overlooked and you are not satisfied with your office cleaning, we will send our team back out at our expense to correct the problem. We use a structured chain of command to efficiently service and take care of all our customers. Chris & Cody (owners) are either on site or in constant communication with supervisors and staff. We only hire the best trained and most experienced professional service people. All employees under go complete background checks prior to joining our team. After a long winter of being indoors, you throw open the windows and doors and notice all the cobwebs and dust bunnies running rampant. The interior and exterior of your house are probably in desperate need of a professional home cleaning. Leave other time-consuming cleaning chores to our proffessoinal cleaning service in Casper, and spend time on other things like enjoying the warmer weather. Clean Solutions offers a wide range of additional house cleaning services. If you don’t see what you need, just ask…we’d be glad to help you. Are you buying or selling a house? Are you renting a house or an apartment? If so, our move-out house cleaning and move-in house cleaning service is the best in Casper, Wyoming. Our housekeeping service in Casper is specifically designed from leasing and rental agent clean out checklists. We are well known in the Wyoming area and highly recommended by many realtors and landlords. What is a Move-out Cleaning and Move-in Cleaning? 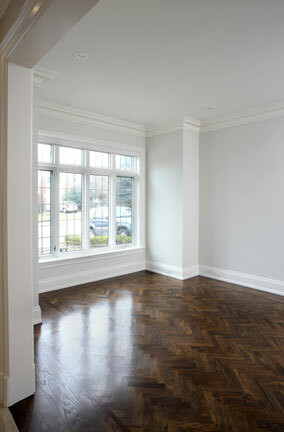 This is a deep cleaning designed for homes and apartments that are vacant of all furniture and personal belongings. Why should I choose this type of cleaning? Our Move-out and Move-in house cleanings are the deepest cleanings we offer for vacant homes and apartments. This home cleaning is designed to meet many (if not all) of the requirements set by landlords and leasing offices. What does the Move Out Cleaning and Move In Cleaning include? Everything from cleaning out your appliances, dusting the ceiling fans, wiping down baseboards, scrubbing out the bathtubs and showers, sweeping and mopping the floors, vacuuming carpets and truck mounted hot water carpet cleaning. Clean Solutions will supply all equipment and labor to handle your project. Please write a detailed description of your project.